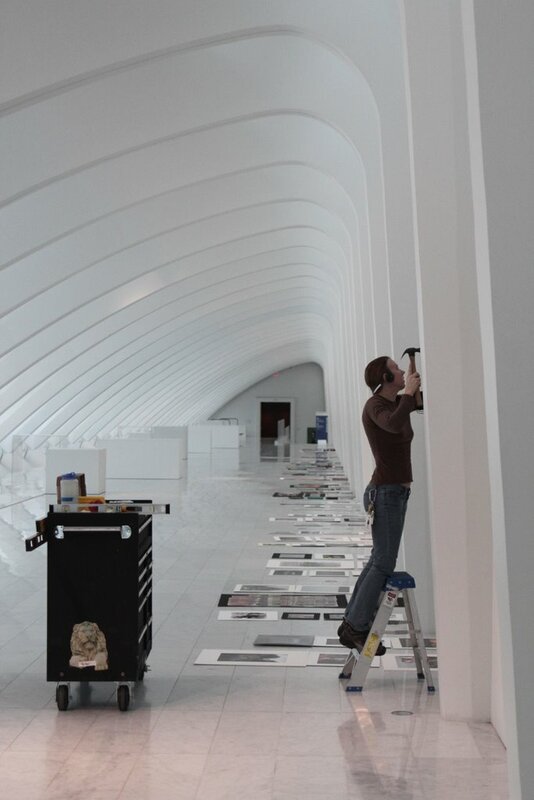 Installation of the 2011 Scholastic Art Awards exhibition. Milwaukee Art Museum's Schroeder Galleria. Every year the Museum is proud to celebrate the outstanding artistic talents of Wisconsin’s young artists. 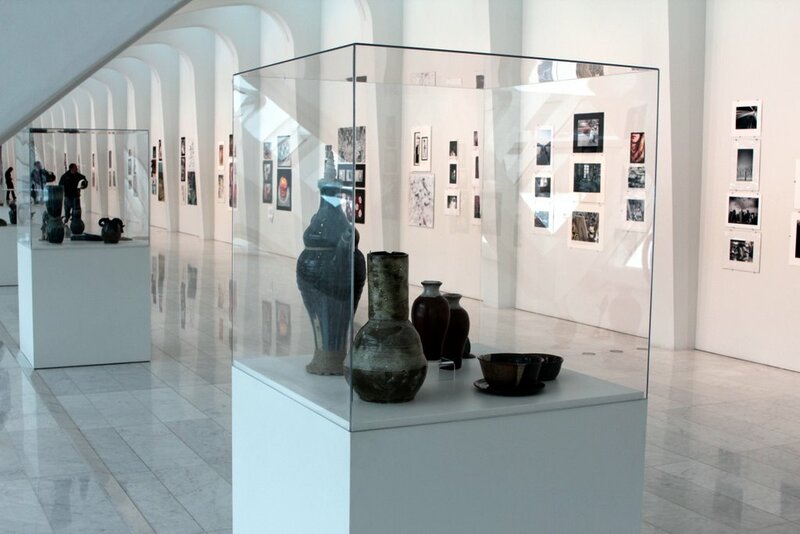 Since 1976, Wisconsin’s regional Scholastic Art Award competition culminates with an exhibition and awards ceremony at the Museum. Our team professionally tackles (in a short amount of time!) the thoughtful display of more than 325 pieces of student art—ranging from photographs to lamps, from charcoal drawings to silver jewelry. This year, art preparator Kelli Busch organized the design and installation of the student artwork in the Museum’s Schroeder Galleria. 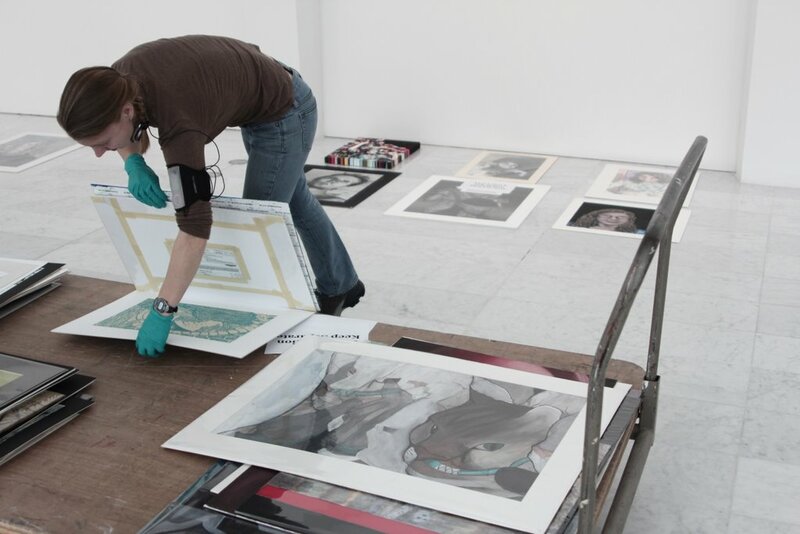 The exhibition will be on view February 5–March 6, 2011. Below are a few photographs of Kelli’s installation work in progress… Kelli sorted the artworks for size and visual relationships before laying them out on the floor. Once satisfied with her arrangement, she pinned the works to the wall. Knowing these are works that will be treasured by the students and possibly used in art portfolios, Kelli is very careful to not damage edges. 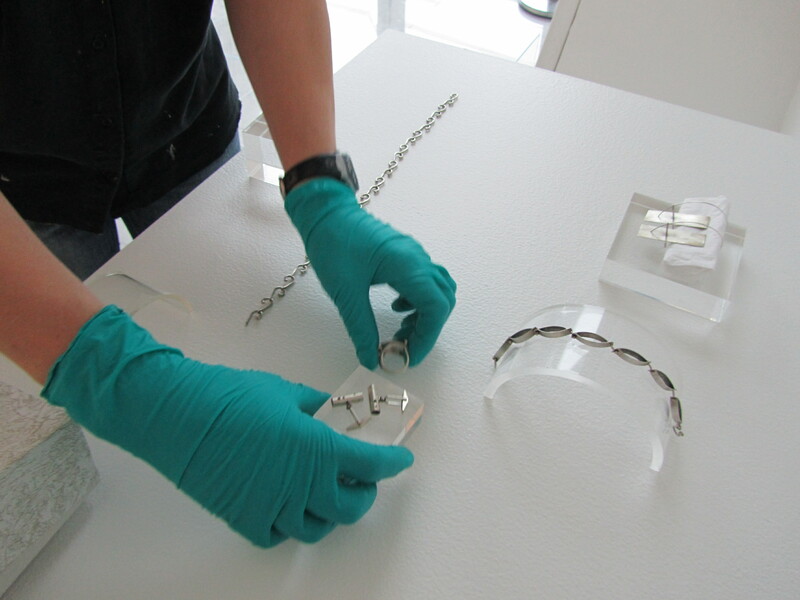 When you come in to view the artworks, you’ll notice that some have special award designations. The Silver Key Award denotes special statewide recognition; artworks receiving a Gold Key Award go on to compete at the national level, with entries from over seventy other regional competitions throughout the United States. Students whose work receives a Silver or Gold Medal at the national level are honored at Carnegie Hall in New York City in May 2011. 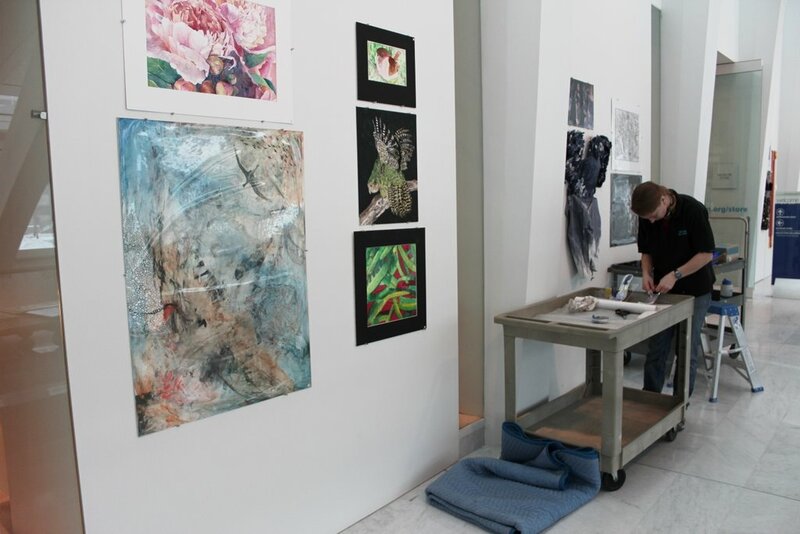 If you’re reading this on February 5, 2011, stop by the Museum between 10 a.m. and 4 p.m. to see the student artists as they accept their awards. If you aren’t able to see the show in person, the Milwaukee Journal Sentinel posted an online gallery of 2011 Scholastic Art Award highlights. This entry was posted in Art, Behind the Scenes, Curatorial, Education and tagged Art Installation, Scholastic Art Award. Bookmark the permalink.